A misaligned vertebra impairs the nervous system. Good health requires vertebrae to be in proper alignment - a goal attainable only through spinal adjustments, the crux of chiropractic care. 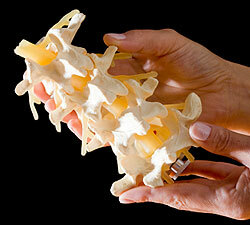 Spinal manipulation is helpful for patients with back pain. Specifically, manipulation is useful for common acute low-back pain. The main benefit of manipulation therapy is rapid relief, because it frees patients from back pain in a shorter period of time than other treatments. Chiropractors are winning increased acceptance from the medical community and the public at large. In fact, they treat twice as many people for back pain as medical doctors do. There is little doubt that chiropractic medicine is effective for cases of acute back pain. Have your spine checked by Doctor Buchanan. He will determine if one or more of the bones of your spine has moved out of position to create pressure on, or irritate the spinal nerves. Spinal nerves are the nerves that come out from between each of the bones in your spine. Pressure or irritation on the nerves causes those nerves to malfunction and interfere with the signals traveling over those nerves. How does this affect you? Your nervous system controls and coordinates all the functions of your body. If you interfere with the signals traveling over nerves, parts of your body will not get the proper nerve messages and will not be able to function at 100% of their innate abilities. In other words, some part of your body will not be working properly, AND most often you will feel pain. Doctor Buchanan will locate the spinal problem. He will reduce or correct it. 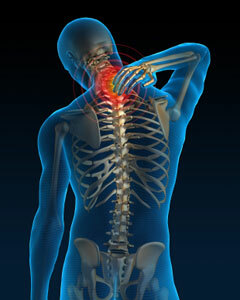 This is done through a series of chiropractic adjustments specifically designed to correct your spine.